This thing looks incredibly fun! A FLYING merry-go-round in their own back yard is the pride and joy of young” Christopher Elliott and his sister Maureen, of Beccles, Suffolk, England. 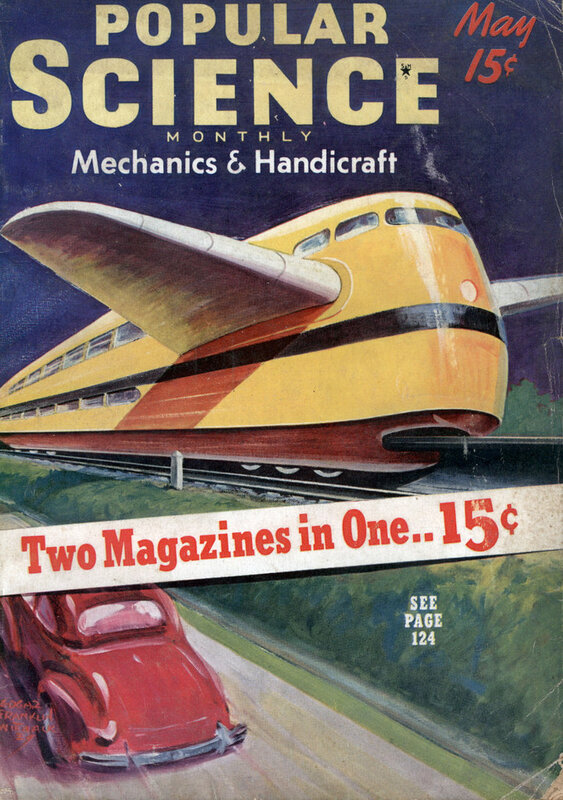 Built by their father, the novel whirligig has a two-passenger open gondola suspended from twin booms that revolve around a central post firmly set into concrete. Driving power for the unusual homemade flying machine is furnished by a one-horsepower gasoline engine that whirls a twenty-three-inch wooden propeller incased in a protective cowling of wire and metal. Cross bracing between booms and center post adds stability. The german museum mentioned in that mobile office article actually has a simmilar device. You don’t get up that high into the air and you have to pedal to get the propellor moving. 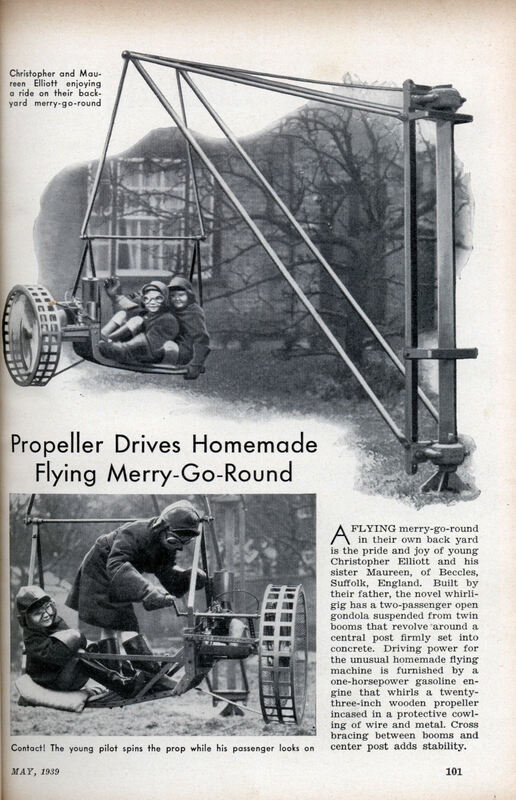 These kids got to ride around on a homemade propeller driven merry-go-round, Popular Science 1939 – “” – Link…….